You weren’t planning on retiring, but now you may not have a choice. Sudden retirement comes about when your company decides to eliminate your position. Call it downsizing, rightsizing, or layoffs; when it is you in that situation, you call it sudden. Here are five things you can do to build a new plan of action. A retirement income plan is a timeline that shows you how much income you will have, what sources it will come from, and when each source starts. It includes Social Security, pensions, annuities, anticipated savings, and investment account withdrawals and projected retirement account withdrawals. Once this plan is in place, you can decide if you must reduce expenses, find additional work, or if you’ll be just fine as things are. You can also use your plan to compare alternatives. 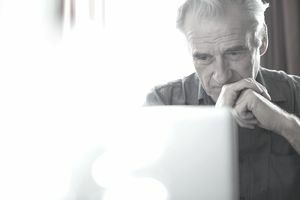 In many cases of sudden retirement, people think they must start Social Security early, or instantly begin their pension, but that isn’t always the best option. Your plan allows you to layout various combinations of things and see which one gives you the best long-term outcome. When your income is suddenly lower than expected, the first thing to do is cut back on the wants. You can always add them back in later. Go through your bank and credit card statements and find ways to eliminate the extras right away. This can help buy you some financial breathing room to figure out a longer-term plan. One way to evaluate needs and wants is by creating a values-based spending plan; it takes some soul searching but helps you identify the things that really matter the most to you. You have a lifetime of skills at your disposal. Perhaps you can use them in ways you hadn’t considered before. First, reach out to former professional contacts to get a sense of what is out there and what type of project work might be available. You can also look into starting a consulting business, or see if your handyman or dog walking skills might be put to good use in your local neighborhood. There are numerous ways to earn extra money if you put your mind to it. Do not instantly file for Social Security, your pension, or take out retirement money – unless you have completed your retirement income plan and that is the optimal choice for you. Too many people make a rash decision of starting Social Security early only to find work a year later. In such a case the Social Security earnings limit kicks in, and some of the benefits may need to be repaid. They would have been better off using other sources of savings to tide them over. A temporary decision to cut back spending on wants, or to take an odd job, is not the same as a permanent decision. Making a temporary decision to alter something may be precisely what is needed for you to buy enough time to get your permanent retirement plan in place. One of the best things you can do when facing sudden retirement is to seek the assistance of a qualified financial planner, someone who is going to help you create a plan – not someone who is just going to try to sell you something.